Hello there, my name is Bob. 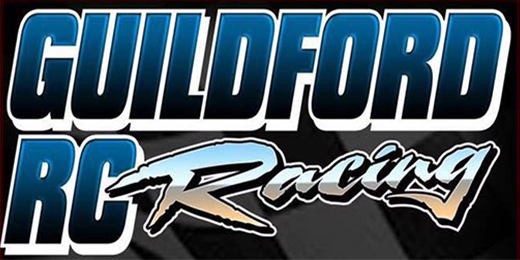 I am the club owner of Guildford Rc Racing. Our H.Q is The Aggie club in Guildford. We also race at many other venues in the UK. We were formed many moons ago by myself and my family. We are a very friendly bunch here. We race every other Sunday and occasionally on Saturdays. Please feel free to browse our website and join in on our club events. We have a club racing calendar where all our events are listed, past and present. We also have a Gallery for past and present Club Meets. WE OFFER YOU A WARM HEATED HALL WITH PLENTY OF PARKING SPACE. OUR ONSITE CAFE OPEN FOR FULL ENGLISH BREAKFAST, SNACKS AND HOT AND COLD DRINKS. OPENS 08:00AM - 15:00PM. SEATING AND TABLES FOR APPROXIMATELY 60 PEOPLE. BUT WE DO HAVE OUR OWN LIMITED SHOP. BOOKING IN IS DONE ONLINE. DOORS OPEN 08:00AM - RACING STARTS 10:00AM. 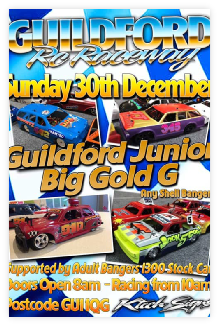 WE CURRENTLY HOST ABS AND ALLY BANGERS, 2LTR STOCK, 1300 STOCK, ROOKIE BANGERS UNDER 12 AND POINTS CHAMPIONSHIP.